#Weekending – Summer reading; had me a blast! | APEX Public Relations Inc. Managing partner Linda Andross talks about her favourite thing to do – summer reading. I love reading and I find summer an especially good time to dig into a lot of different books. So, what’s on my patio table right now? What’s on my upcoming list? I’ve read studies (get it, more reading!) that say that reading fiction can be helpful for building your creativity. I think that reading in general helps you get outside of yourself and problem-solve from a different perspective. Me personally, I’m a huge fan of non-fiction and I find that reading about people and how they have handled their various challenges inspires me in both my personal and professional life. I’m going to give a big shout out to all the public libraries out there! I heart the Toronto Public Library! You have so many choices to chose from! Print books, audio books, e-books, videos, you name it! I feel like I will not have enough time in this lifetime to read all the books that I want to, which bums me out to no end. Right now, I’m reading Frenemies by Ken Auletta, which is about the comms industry and very forward looking and interesting for the business that we’re in. 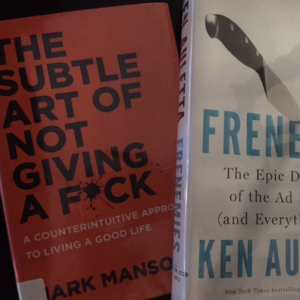 I’m also reading The Subtle Art of Not Giving a F*ck by Mark Manson. Something I really try to work on! It’s a great read and very in your face. What’s on my “to-read” list? Bad Blood: Secrets and Lies in a Silicon Valley Start Up by John Carreyrou and Endure: Mind, Body and the Curiously Elastic Limits of Human Performance by Alex Hutchinson. I usually have four-five books on the go at one time. I like options in my book life. Summer seems to stretch out a little bit longer when you have a good book. I’d love to hear what you are reading and any good recommendations. I always need another good book to add to my list! Linda Andross is a managing partner at APEX Public Relations and ruckus Digital. 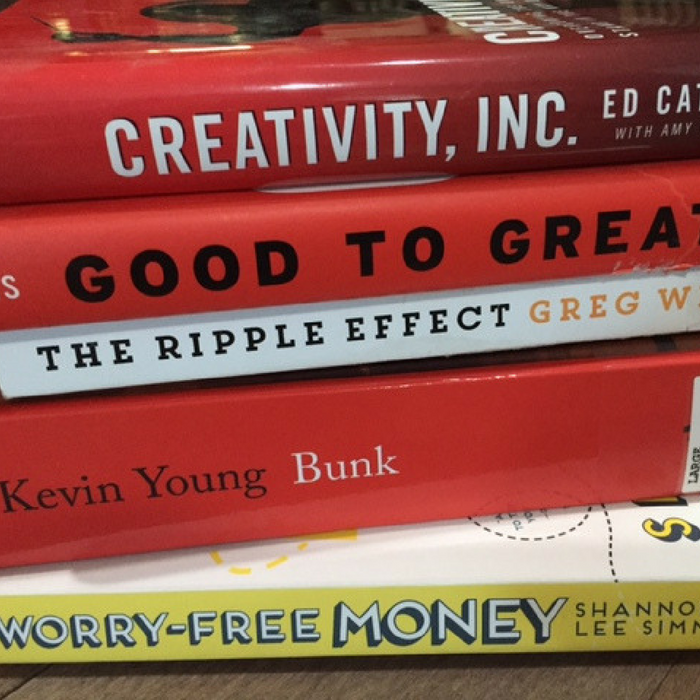 Check out more of our #Weekending series throughout the summer and see what other APEXers are reading for the summer.